Sushmita Sen Walking Into This Wedding Made Us Collectively Go *Tumhe Jo Maine Dekha*! This weekend saw the wedding of magnum opus Baahubali's director, SS Rajamouli's son SS Karthikeya. On December 30, Karthikeya tied the knot with his fiance Pooja Prasad at Fairmont, Jaipur. The wedding was attended by who's who of Telugu film industry including the star cast of Baahubali - Prabha, Rana Daggubati and Anushka Shetty. But if there was someone who stole the limelight, it was definitely Sushmita Sen who attended the wedding with her boyfriend Rohman Shawl and her daughter Alisah. 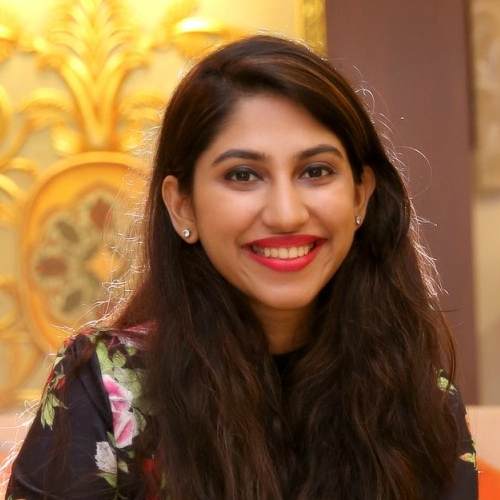 Here, have a look at all the fun she had at this grand affair! 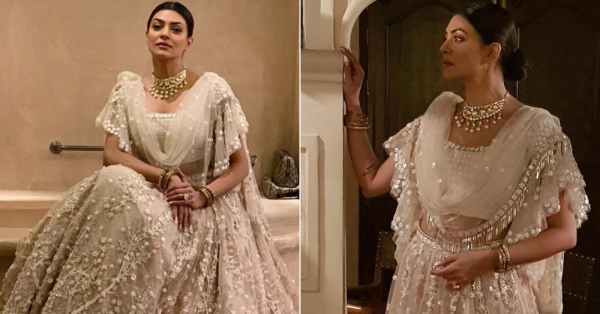 Looking like an ivory dream in a sequined Neeta Lulla lehenga with a fringe dupatta, Sushmita kept her look pretty simple but classic, in typical Sush style! She chose to compliment the lehenga with a polki necklace and a few kadas. For her makeup, she kept it understated with kohl-rimmed eyes and pink lipstick! The newly-weds also look super happy in this video Sush posted of them performing wedding rituals! Much love to the newly-married couple and to the ever gorgeous, Sushmita Sen!